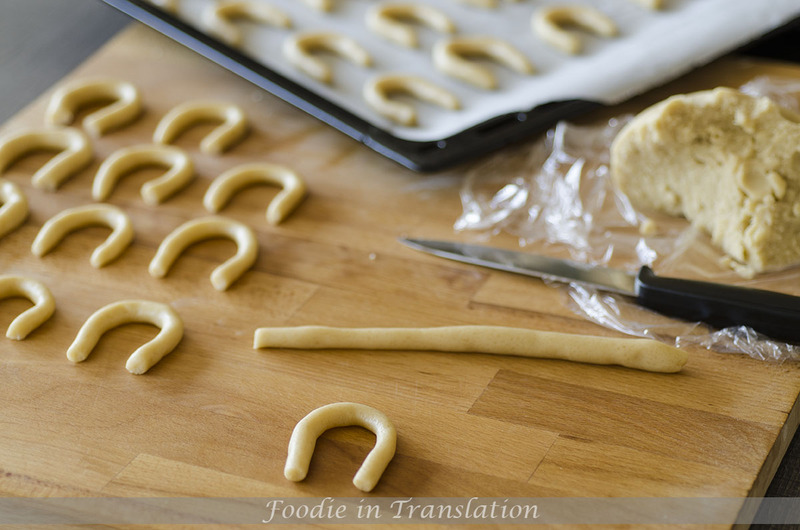 Third and last idea for handmade, homemade Christmas presents: chocolate horseshoe biscuits. After the hot chocolate mix and the salted caramel sauce, it’s time for some cookies. 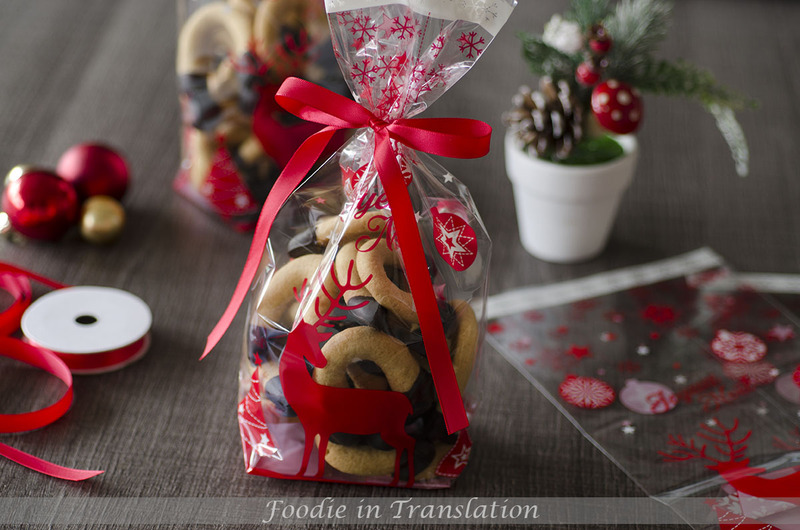 Why we offer this kind of biscuits for Christmas? Because the horseshoe brings good luck, so it is perfect to wish someone all of our best, also because we are almost at the end of the year. 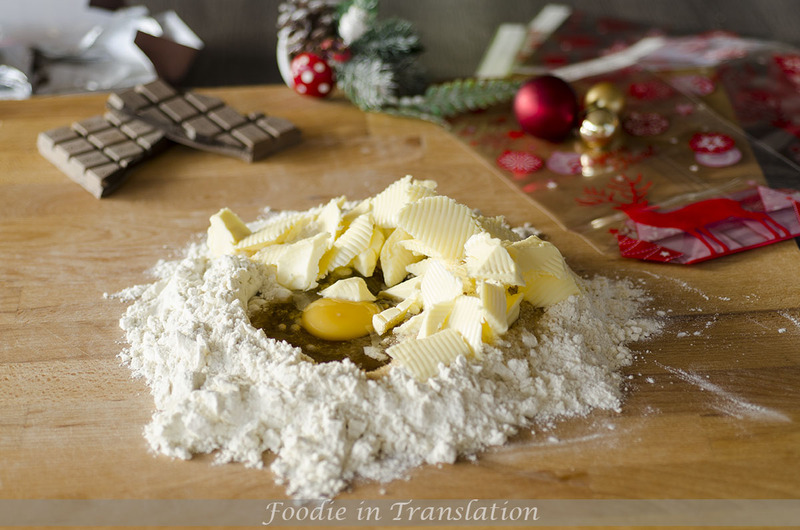 Put the flour on a wooden board, make a well in the center and add the sugar, the butter cut into small pieces, the baking powder and the salt. Mix with your fingers tips until you have a ball. Wrap it with film and let it rest into the fridge for about 30 minutes. Preheat the oven at 150°. Divide dough into small pieces. Roll each piece into cylinder and cut them into small logs 10cm long. 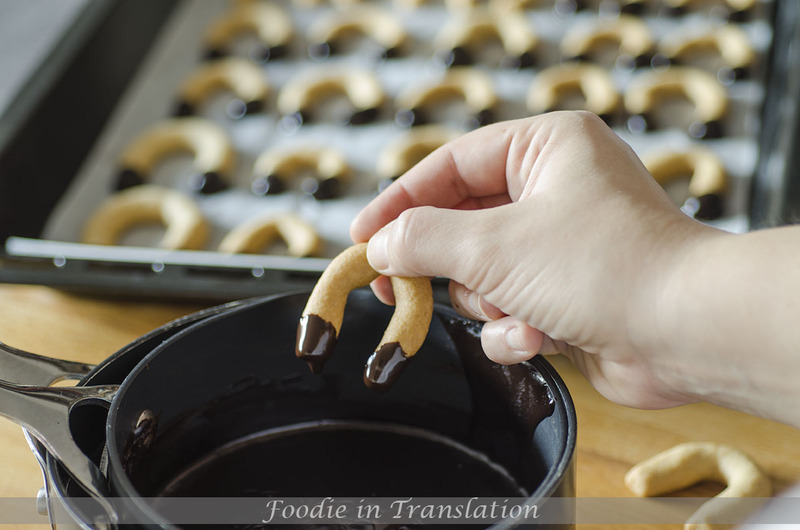 Twist into horseshoe shape, place on a baking tray lined with parchment paper and bake for 10-15 minutes until golden. Once the cookies are done, let them cool on a wire rack. Meanwhile melt the chocolate in bain marie. Add a little bit of milk to have a smooth sauce. Take a horseshoe biscuit and dip the extremities into the melted chocolate. Place it back on the parchment paper and let it cool completely. Put these delicious chocolate horseshoe biscuits into small gift bags and that’s it. Your Christmas present is ready! !